Breakfast,blogging and watching vlogging- what a grand triple set right thur. But what I fail to mention is that it was a Saturday and involved me getting up at 7am Yes people, you heard right it was 7 AM. Although this was a major shock to my system, once I had arrived at EAT in the Manchester Arndale to attend yet another amazinn’ event held by the lovely Leanne and Helen, I knew it was definitely going to be worth it. 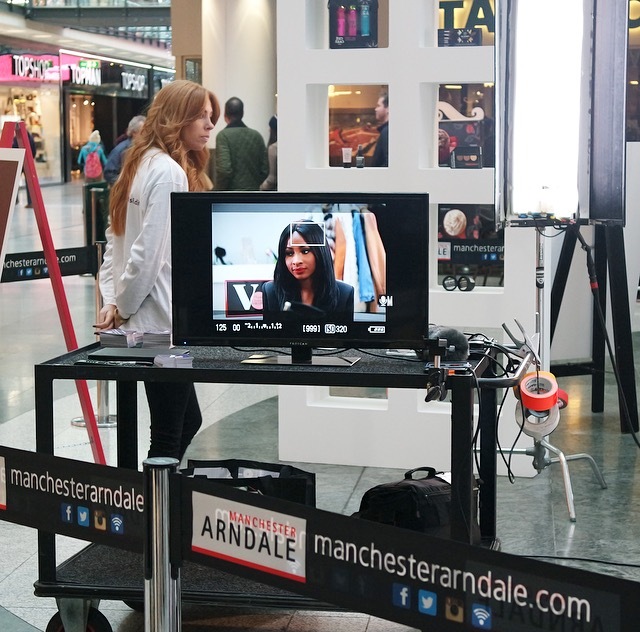 Manchester Arndale was holdin’ an event all weekend which saw a selection of Northern influential Vloggers(video bloggers for you who don’t know the lingo) who had all picked their top ten picks out of specific categories. This was aimed to enable an easy resolution to gift buying/party wear for the coming festive season, as after all who doesn’t love Christmas present buying being oh so much easier. So, as myself and the lovely other 20 bloggers met at EAT for our breakfast we gathered around and asked the lovely Vlogger Jenny Jenkins a load of stuff. From how long she’d done it, if she was nervous to vlog and much, much more. Jenny is now a key and influential beauty vlogger in the UK which saw her You tube gaining over 500,000 people as followers. Erm, WOW. For someone who has achieved so much you’d imagine her to have a little ego, but no Jenny was the loveliest and even one of the quietest people I’d ever met. Be sure to check her channel out here. After munchin’ on down and chewin’ Jenny’s ear off we set about watching her do her Vlogging thang. Sat within the largest part of the Arndale and openly vlogging in front of hundreds of people, I was seriously in awe at her confidence. Choosing and naming her top 10 shoes of the festive period, we were all excited to know just why she’d chosen those picks. After starin’ at Jenny for a little too long, some of the bloggers (along with our amaaaaazing goodiebag) went off to shoot some photo’s. A great morning topped off by a natter and shoot with some of my Manc blogger faves. For those of you who fancy nosing at Jenny’s entry for her top ten shoe pics, or even the remaining vloggers entries then be sure to head to the Manchester Arndale You tube channel here. Thanks to the lovely as always PR ladies, Jenny and Manchester Arndale for this great mornin’. The goodies from my bag(a sheeeeed loads of NYXCosmetics makeup) will be up on the blog soon, just as soon as I learn how to contour…. Previous Post Checkin’ Out Coats Of The Season: The Missguided Fixture.